With The discovery of the Me-262 in 1943 by US Intelligence, came the need for a competing aircraft. The British jet engine designs were studied and led the General of the Army Air Force at the time, Henry H Arnold, to believe an airframe could be designed to fit the British engine, which was the Halford H-1 (Goblin). Lockheed was tasked to develop a suitable airframe, in a short period of time since the Germans were far ahead with development of a jet A/C. Clarence “Kelly” Johnson submitted a proposal to have an airframe ready in 180 days, well Lockheed developed it in 143 days. The program was so secret only 5 of the 130 heads working on the project actually knew that they were building a jet aircraft. Unfortunately, after the engine had been installed in the airframe, Lockheed had not heeded warning by a British engineer that the skin of the inlet was too thin, and these collapsed and were sucked into the engine at full throttle during the preliminary run-up of the engine. Lockheed was very fortunate since De Havilland sent another engine, which was intended for the second prototype Vampire. Although a little too late for full use in World War Two, 2 pre-production YP-80s saw very limited action in Europe, tasked to intercept the Arado Ar 234 recon jet A/C. 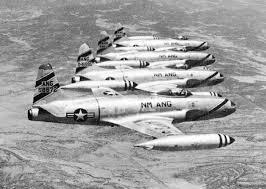 It was Korea where the F-80 saw the brunt of the initial combat flying some 15,000 sorties. 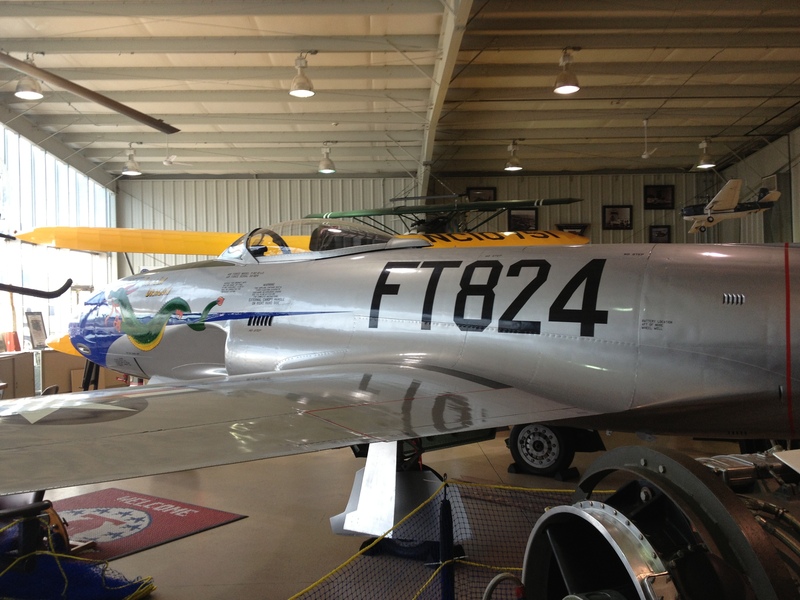 Though a few Mig-15s were downed by Shooting Star Pilots, the Migs far outclassed the F-80. One such engagement which was actually the first jet-vs-jet combat occurred on November 8, 1950. USAF 1st Lieutenant Russell Brown piloting an F-80C of the 16th Fighter Interceptor Squadron, 51st Fighter Interceptor Wing was at an altitude of 20,000ft when he spotted 8 Mig-15s around 10,000ft above his flight. 1st Lt. Brown’s flight was flying Defense Suppression strikes agasinst North Korean AAA in support of B-29 operations. The Migs were at their patrol height, usually around 30,000ft,and were just waiting for their targets to appear, which they would dive upon. While having an edge over the F-80 at high altitude, the Mig-15’s advantage was cancelled out at lower altitudes. Brown, having spotted a Mig that strayed from his flight, quickly closed on the diving Soviet Fighter and with a well aimed burst of his .50 cal M2 Brownings dispatched the Mig, which was from Col. A.V Alelyukhin’s 28th Interceptor Air Division. DVHAA at Wings of Freedom Museum, Horsham, Pennsylvania. American Warplanes. London. Salamander Books. 1986. Jane’s Encyclopedia of Aircraft. United Kingdom. Jane’s Information Group. 1989.